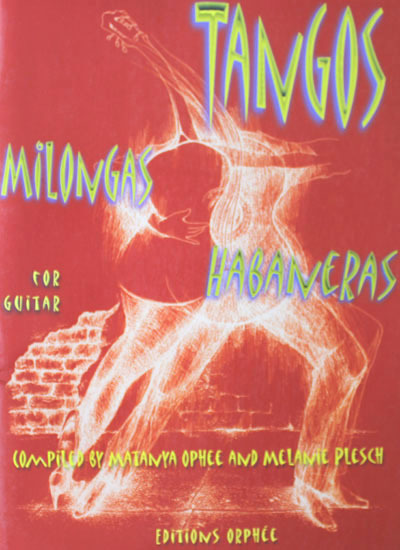 This volume is a compilation of tangos and the related dance forms of the milonga and habanera, originally written for the guitar, or transcribed for the instrument by guitarist who were active in Buenos Aires during the early decades of the twentieth century. The majority of the tangos included here belong to the Guardia Vieja era or are styled after them, as in the original tangos by Julio Sagreras and Justo Morales. These transcriptions and original compositions were mainly addressed to middle class guitar amateurs. Some of the pieces are technically accessible, clearly aimed at the student or beginner level, while others are more demanding, requiring an intermediate to advance proficiency. Most of the pieces in this volume are for guitar solo, with two pieces for a guitar duet, paginated comfortably to allow for direct reading by two guitarists. Even with the passage of time, the distinction of the tangos' heritage can provide diversion and delight whether played for one's own enjoyment or for the entertainment of others.